I came in this morning and found these on my desk! LOVE LOVE LOVE! Besides my love for Totoro, Hello Kitty runs pretty close behind it! So am I going to use it? Uh NOOOOoooo…. 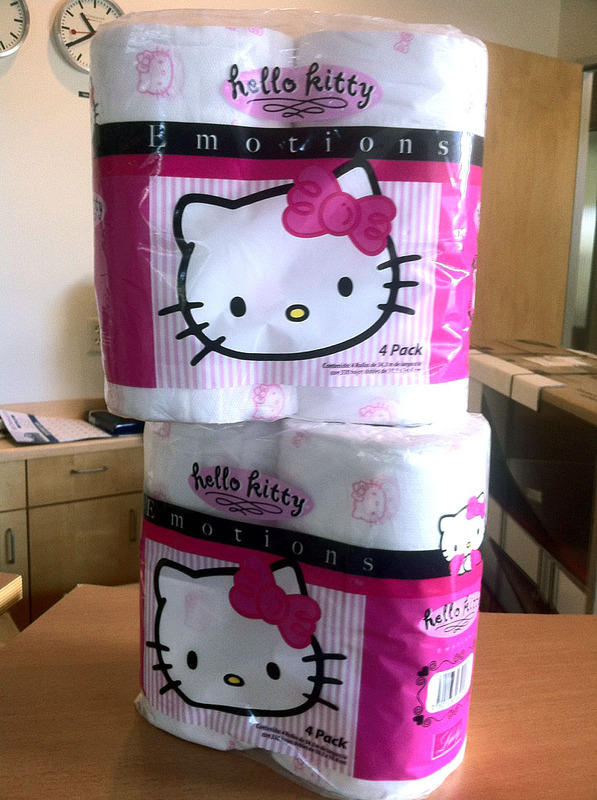 you crazy… and waste that Hello Kitty cuteness? NO WAY! ← Amazing Race, IN YO FACE! LOL! Shel – have you ever watched Hoarding: Buried Alive. Just mentioning it so that you’re not buried alive in Hello Kitty stuff.